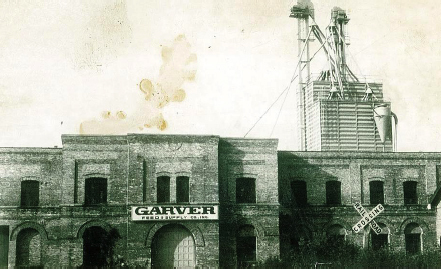 Results of a study of the conditions of the Garver Feed Mill were presented to the public Thursday night, July 26 by Facility Engineering, Inc. and representatives from Vogel Construction. The study was commissioned by the City of Madison last fall. The two hour presentation covered details regarding the high-tech laser scanning techniques and other aspects of the engineering survey. All stabilization issues are solvable! The price tag estimated for the stabilization of the 49,750 sq ft. building, consisting of 10 separate interior spaces was estimated at just north of 4.5 million dollars. A 224-page report describing the structure’s condition and findings regarding its repair is available on the City of Madison website here. The most serious issue facing the building is the instability of a section of the north-facing wall that encloses the only intentionally unroofed section of the building. At 30′ high, perforated with windows, and unsupported by buttresses or cross-members, this wall is one severe windstorm away from falling down. The unroofed area once formed the base for a “pelletizer” that was part of the feed mill’s operation, shown below (photo circa 1990). It was removed in in 1997 when Olbrich Botanical Society purchased the property, which was subsequently transferred to the City, with certain deed restrictions. 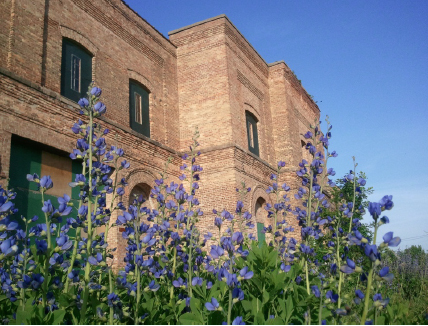 DNR Stewardship Funds were used for both the City and OBS purchases, so DNR permission is required for any sale, transfer or conversion to non-park uses, which affects current opportunities for adaptive reuse after stabilization is completed. 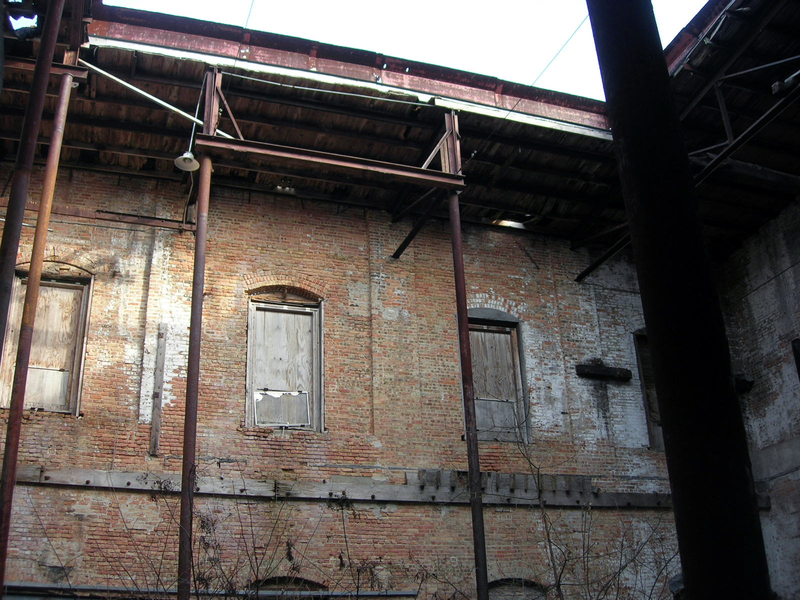 The worst fear of preservationists and East Siders is that some unfortunate person will die in the building–which presents many dangers in its current state, from deep pits (probably used to store molasses during the feed mill’s operation) to cement roofs that could shed dangerous spalls at any moment. A death or severe injury would likely create a sentiment that it is too risky to leave the building standing while waiting for the money and will to stabilize or re-develop the building to materialize. Q. Is it practical to consider keeping the building–is it too far gone? A. The spokesman for Vogel Brothers Construction, the firm that did the renovation of the Goodman Community Center, and recently finished a complete exterior repair of the brickwork of the YWCA building downtown, said “It’s not up to us to say,” but confirmed their passionate belief that it could, indeed, be stabilized and adapted to new uses. Q. Will it be useable once stabilized? A. In the most fundamental sense, yes. The building will include minimal electrical for safety, but no other utility service. Any use would need to be consistent with current zoning. Q. What is Olbrich Botanical Society thinking concerning their use of the building? A. Roberta Sladky, OBS Executive Director, was attending and offered to answer. Citing the lack of safe access across the railroad tracks, she said that Olbrich’s “back of house” needs could be satisfied by use of part of the building, but costs need to be assessed. Until this report became available, Olbrich had nothing to base an evaluation on. Curiously, no one representing Madison City Parks Department, which owns the land on which the building sits, attended the meeting. Do you have photographs of home and family life circa 1942-1945? We need pictures to go in the East Side News, due August 1. Please contact Sarah White @whitesarah@charter.net. While women helped the war effort by working in local factories like Burgess Battery, their children became the first “latchkey” kids. Rumor has it a black market in food stamps operated out of the Kroger grocery store. Were you on the East Side during the war years of 1942-1945? What do YOU recall about life on the home front? Bring your memories and memorabilia to share at this meeting. Group discussion will be facilitated by Marvin Leitzke, Sarah White, and Ann Waidelich. 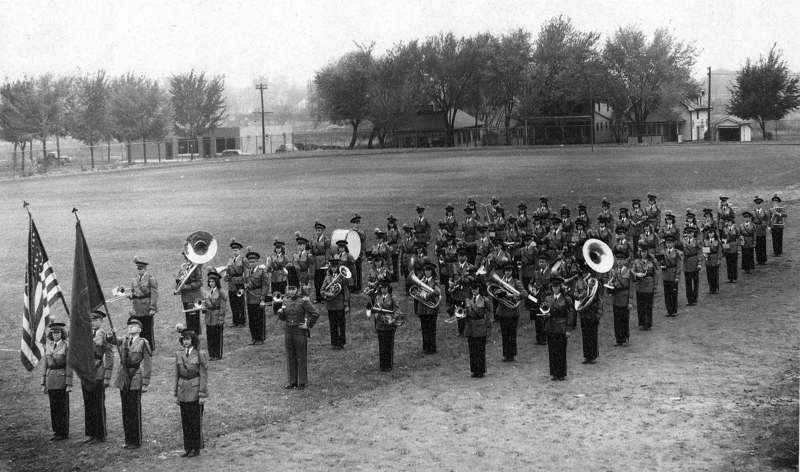 Darwin Nelson, now living in Utah but a Madison native and East High School band member (tenor sax), sent this photo of the band in 1947. Richard Schreiber was the drum major. The photo was taken looking northwest toward the corner of North 4th Street and East Johnson Street. The one story building on the left was the home of George Card’s candy vending machine business (2146 E. Johnson St). 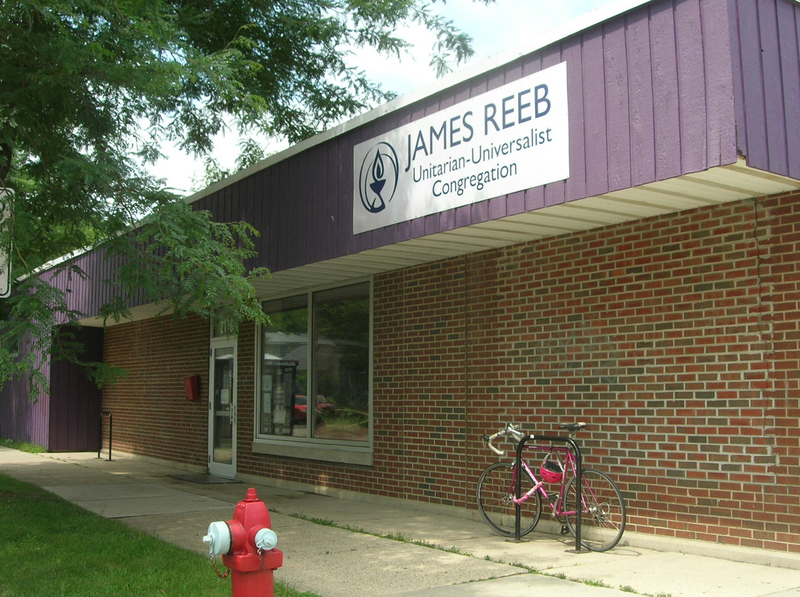 It became the Madison Top Company and is now the James Reeb Unitarian Universalist Congregation meeting house. George Card became blind when he lost the sight of his one good eye in a 1931 auto accident at the age of 33. He had lost the sight in his other eye at the age of 6 when one of his playmates accidentally shot him with a pellet gun. served as a Dane Co. Supervisor for 15 years (1957-1972), executive secretary for the Wisconsin Council of the Blind, and editor of the Braille Monitor. He died in 1982 and the funeral service was conducted by Max Gaebler of the Unitarian Society. The commercial building (2202 East Johnson) and first house (2206 E. Johnson) to the right of North 4th Street was the business and home of Otto and Ida Ziebarth and their son Paul Ziebarth. Their family business, Ziebarth Sheet Metal, was founded in 1926. Otto died in 1961. Paul was a charter member of the East Side Business Men’s Association and died in 1978. The buildings were in the family until 1992. The house is still standing but the sheet metal shop was torn down in 2011. 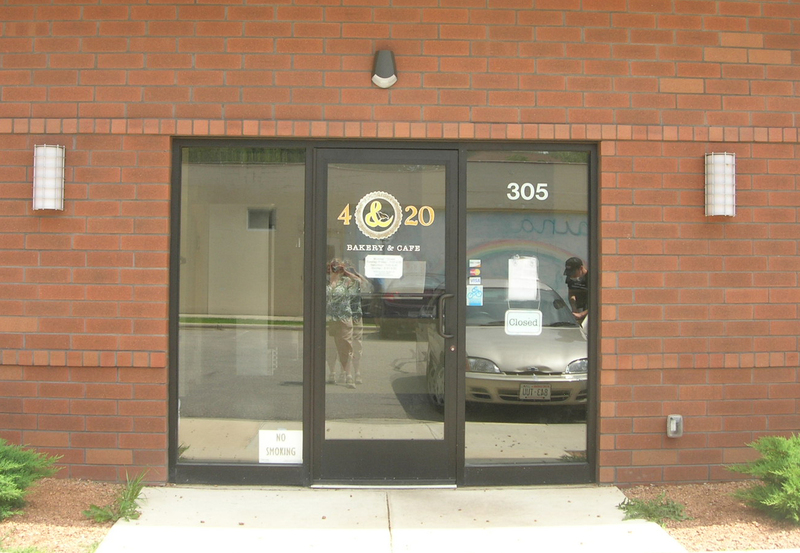 A Milio’s Sandwich Shop and the 4 & 20 Bakery and Cafe now occupy that location. 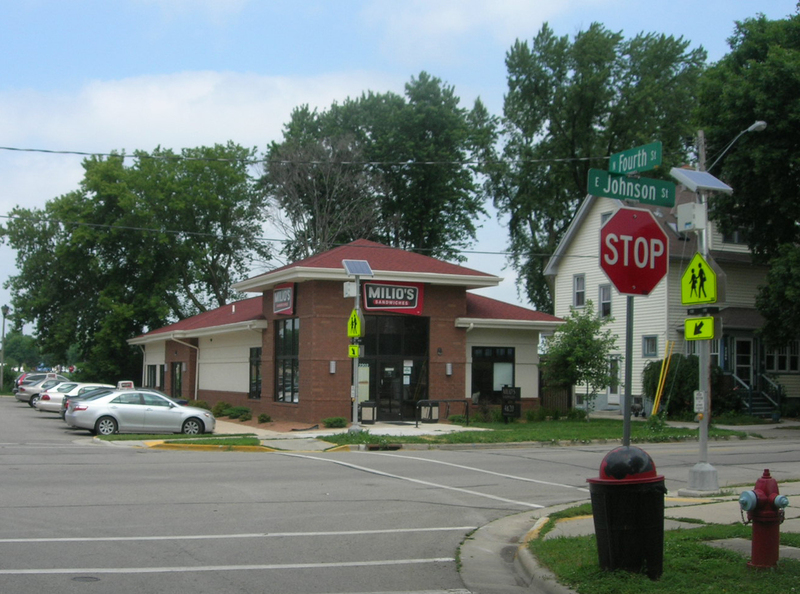 Milio’s Sandwich Shop, 2202 E. Johnson St. and the Zeibarth’s home, 2206 E. Johnson (partially shown). 4 and 20 Bakery, 305 N. Fourth St.